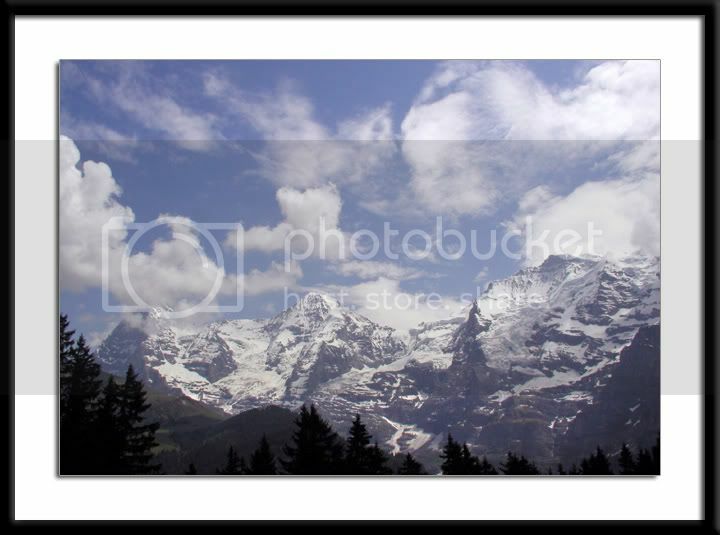 Trimurti of the Swiss Alps: Eiger, Monch and Jungfrau. If you visit Switzerland, please don’t miss it. Last year was our second pilgrimage to the Alps, and we hiked everywhere. You could ride soaring cable cars, and trains cutting deep through mountain ranges, showcasing Swiss precision. But we hiked! In June, the days are long and weather still has the chill of early spring in the alps. Each day we picked a different route and traversed hills and valleys. Our backpacks were filled with varieties of cheese, flavored milks, strawberries, warm croissants and simple sandwiches. We filled our water bottles at ice cold alpine streams for refreshing breaks. The endless expanses of multicoloured wild flowers and the incessant jingling of cowbells on grazing cows transported us to a truly restful and perfect vacation. For the purist: Disappointment with this exposure led me to buy a manual camera. See previous post.